Over the past 20 years, I have taught and trained literally thousands of people in a variety of capacities. I was a drill sergeant in the Army, I worked for Lockheed and NASA, I taught network administration as a Microsoft certified engineer, I was a senior instructor in a large technology training company, and I've created countless demonstrations and e-learning modules. I tell you that only to give you confidence in my experience with regards to taking multifaceted complex topics and being able to present an overview and explanation that allows the learner to see how everything fits together as a cohesive whole. 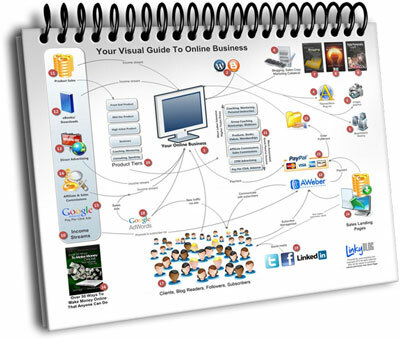 "Online business" can take many forms and is only limited by the creativity of the business mind. What I'm showing you in this visual guide are the standard, common ways these well-known elements interact together; but, this guide is by no means comprehensive or constraining. 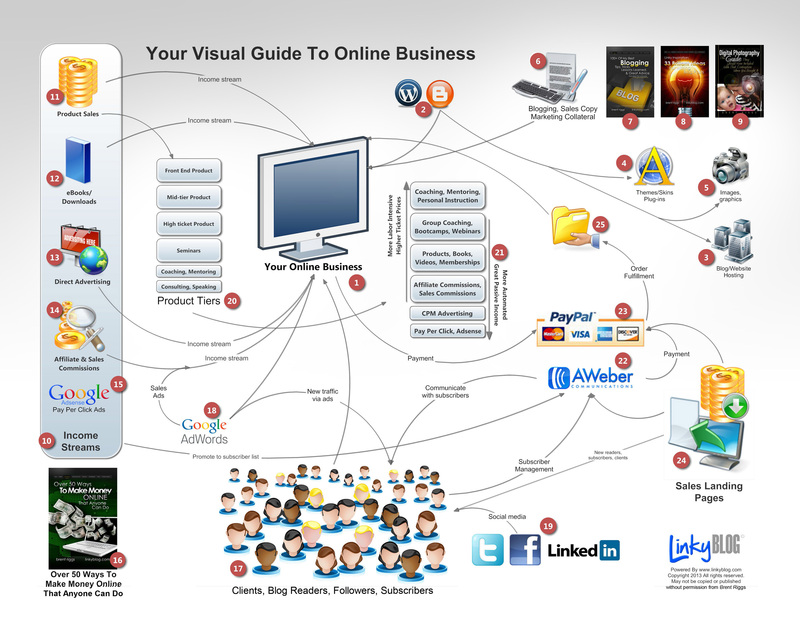 It is meant to give you a general overview and understanding of how all the pieces work together so that you do not feel overwhelmed or undereducated about your online business.